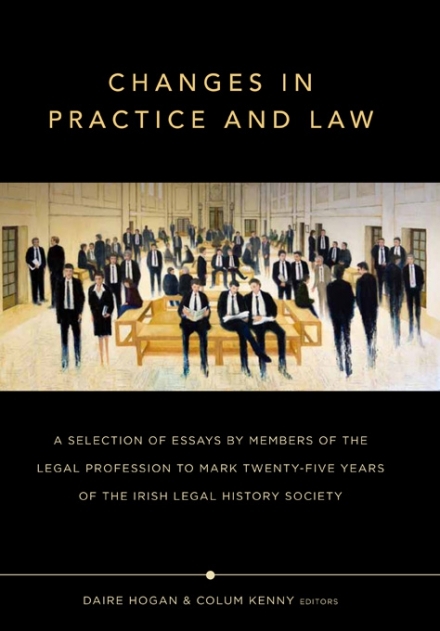 The Irish Legal History Society aims to publish on average one book per annum, which is sent to all members free of charge. 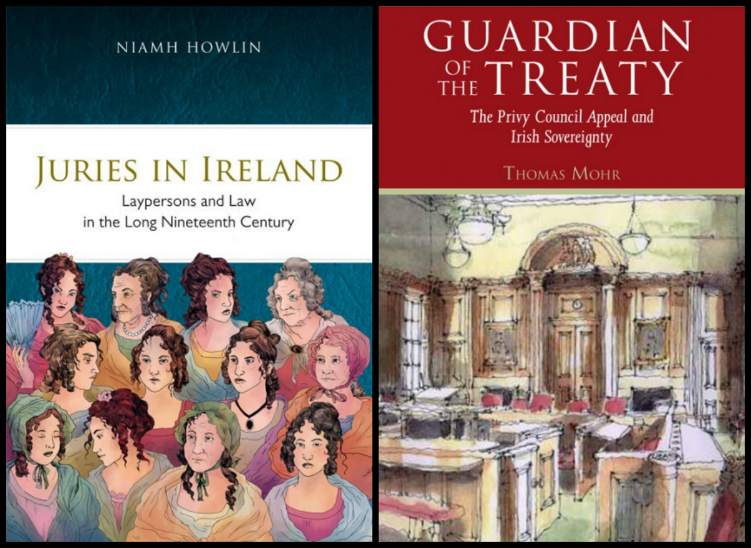 Here you will find details of some of our recent and upcoming book launches. These books were launched at a special event at the UCD Sutherland School of Law on 30 January 2018 by Professor Hector MacQueen of Edinburgh Law School. 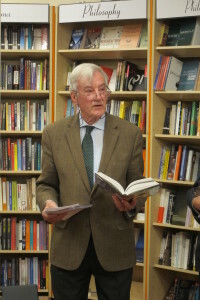 We were delighted to launch our most recent publication at Books Upstairs, Dublin, on Thursday 8 Oc tober. W.N. 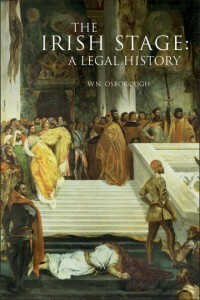 Osborough’s The Irish Stage: A Legal History (Four Courts Press 2015) was launched by Judge Bryan MacMahon. 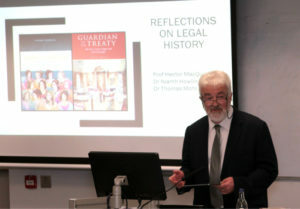 Judge MacMahon was well-placed to review this publication as a former judge of the High Court and Chairman of the Board of the Abbey Theatre. He spoke enthusiastically about the book and strongly recommended it top anyone with an interest in law, theatre, literature,or history generally. The book considers how drama, opera, ballet, circuses, concerts and puppet-shows have faced innumerable difficulties in Ireland. The challenges that are the focus in this unusual study are those that touched on matters of law. Censorship and of riot, safety of buildings, performers’ contracts, dramatic authors’ performing rights, liquor licensing all merit attention too, as, indeed, necessarily must the issue of the lawfulness of any ‘theatrical’ activity itself, given the ill-defined powers of the Irish Master of the Revels (1638–1830) and the controls exerciseable under the Dublin Stage Regulation A ct (1786–1997). 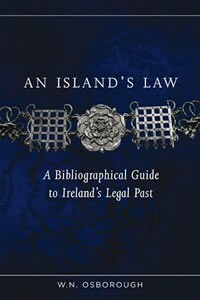 Professor Osborough explained that the idea for this book had originated while he was conducting research for Law and the Emergence of Modern Dublin: A Litigation Topography for a Capital City, during the 1990s. 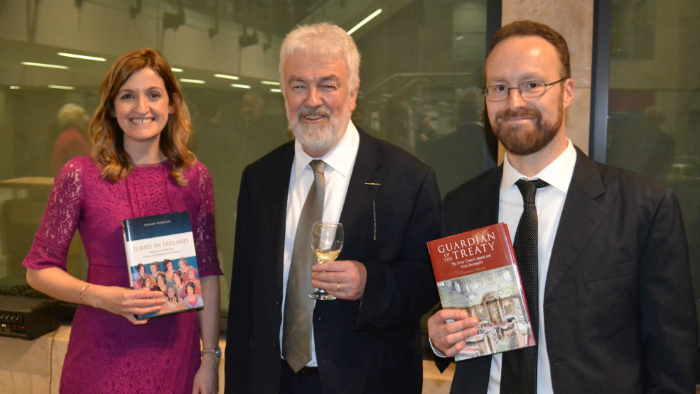 The launch was well-attended by members of the Society and others with an interest in law, literature and theatre, and Books Upstairs provided a marvellous venue. 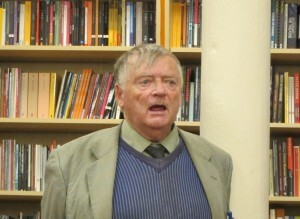 Books Upstairs is an independent bookshop and literary venue in Dublin city centre, and home to the Dublin Review of Books. 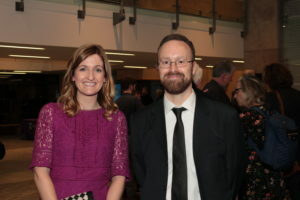 To celebrate its 25 year anniversary, in November 2013 the Society launched Daire Hogan and Colum Kenny (eds), Changes in Practice and Law (Four Courts Press, 2013). The book, an edited collection of essays, was launched by Mr David Ford MLA Minister of Justice, at a reception in the Long Gallery of the Parliament Buildings, Stormont. 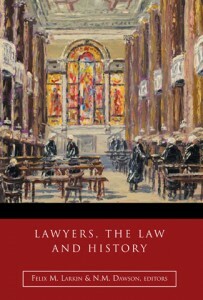 N.M. Dawson and Felix Larkin (eds), Lawyers, the Law and History(Four Courts Press, 2013). 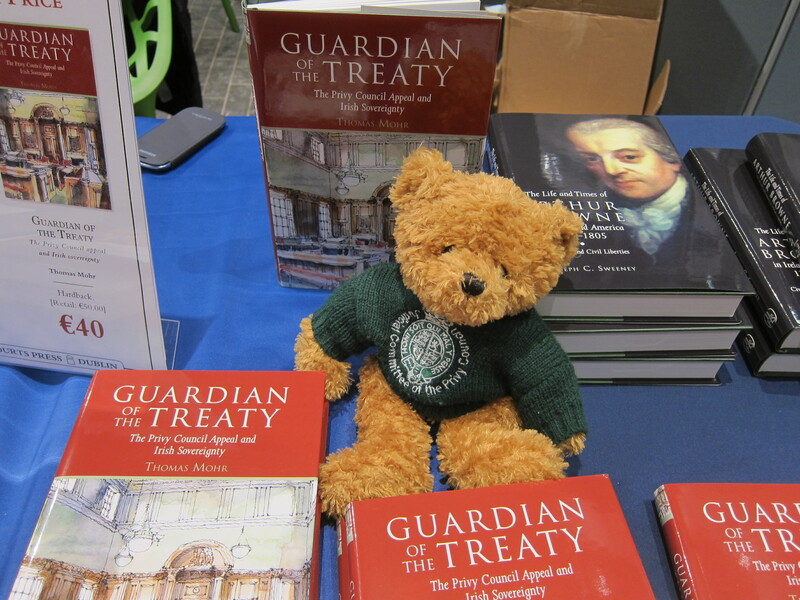 Both volumes were launched by Professor James Kelly at the National Library of Ireland on 18 September 2013.